Since an excellent soundtrack is clearly an important piece in making a good game, I'm sure you fellow Game Byline users have encountered a great deal of quality VGM over the years. Simon's Theme (Super Castlevania IV) (Or pretty much anything from Castlevania, really). A lot of my favorite pieces of music are from The Legend of Zelda series, namely "Lost Woods" and "Song of Storms" from Ocarina of Time. I also like a lot of the music from the Final Fantasy series such as "To Zanarkand." Metal Gear Solid (MGS) is one of my favorite video game series. 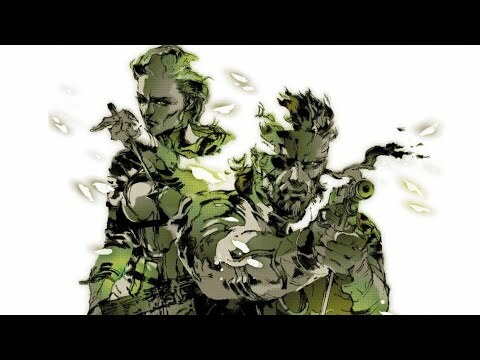 I like "Can't Say Goodbye to Yesterday" from MGS2, "Snake Eater" from MGS3, "Calling to the Night" from MGS: Portable Ops, and "Love Theme" from MGS4.